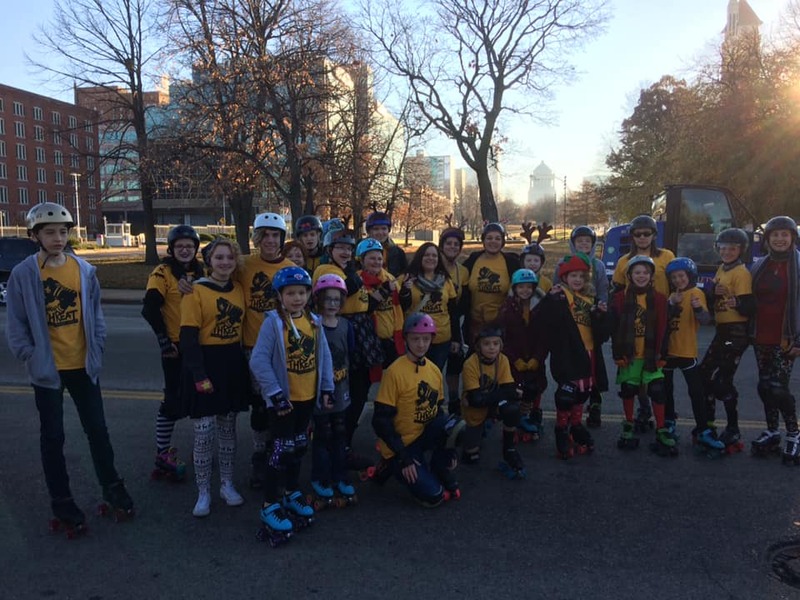 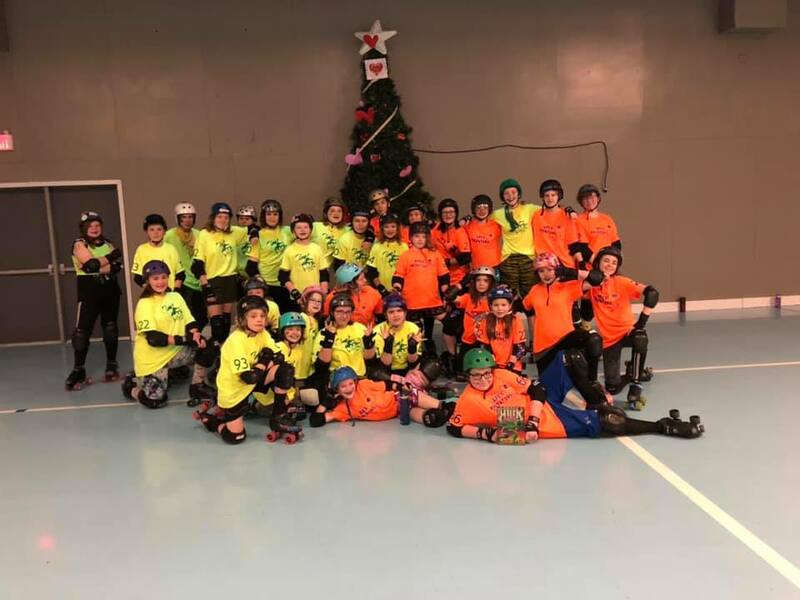 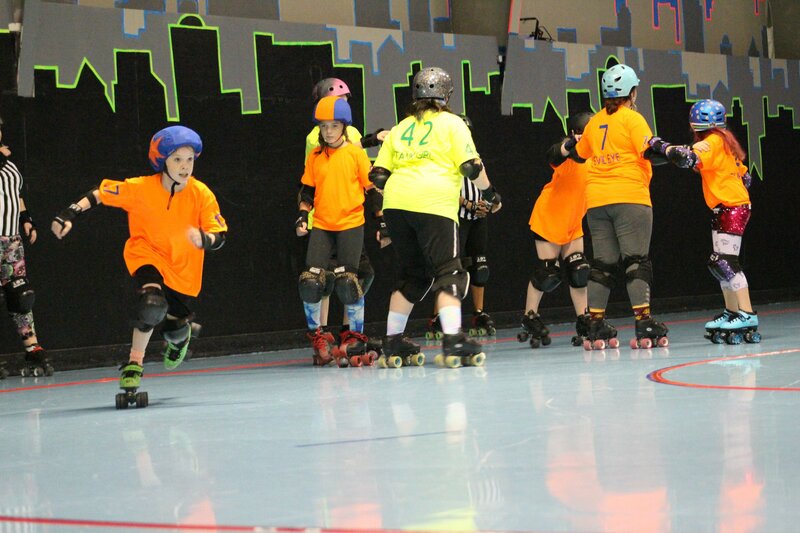 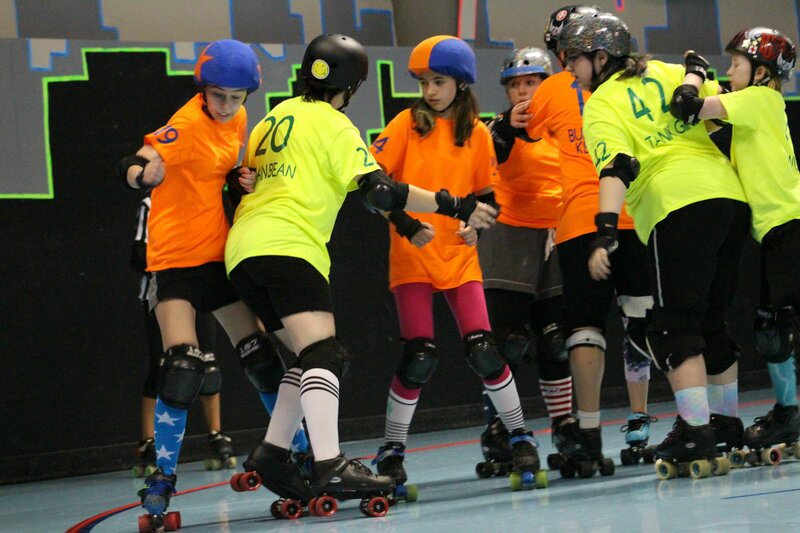 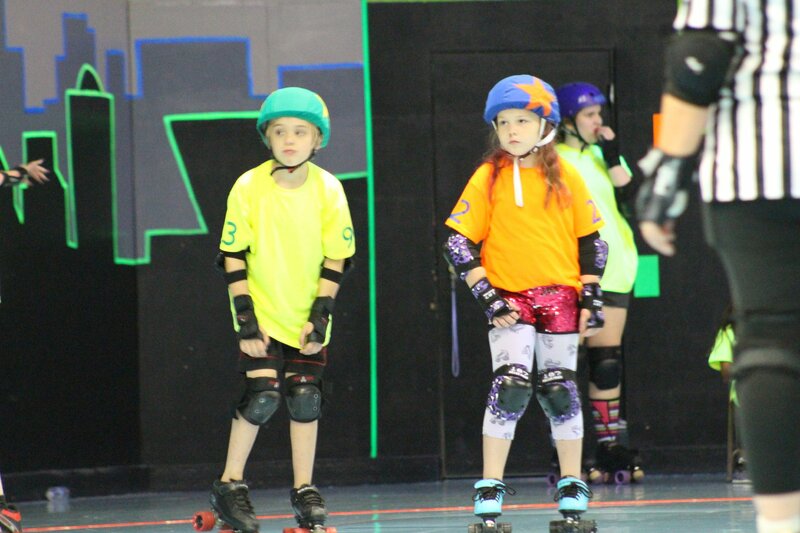 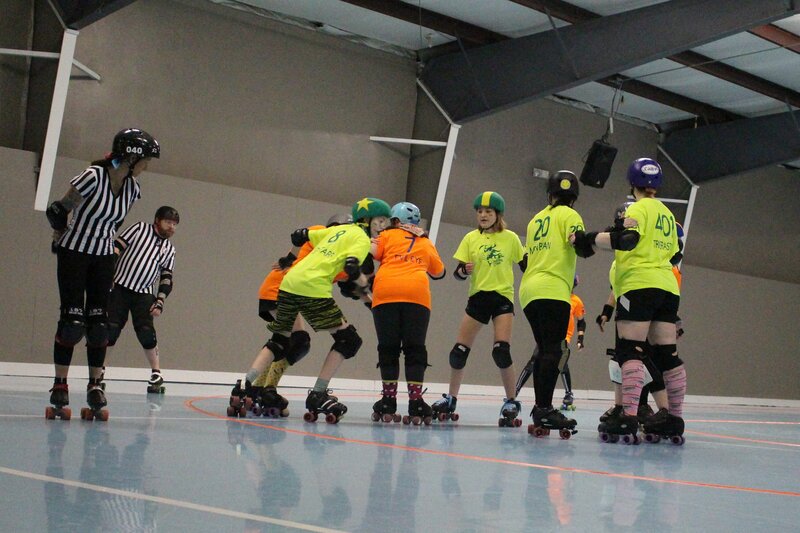 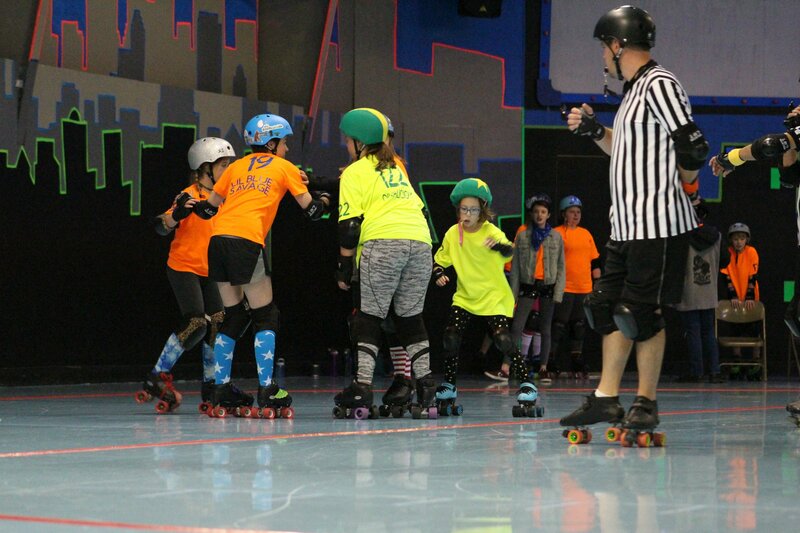 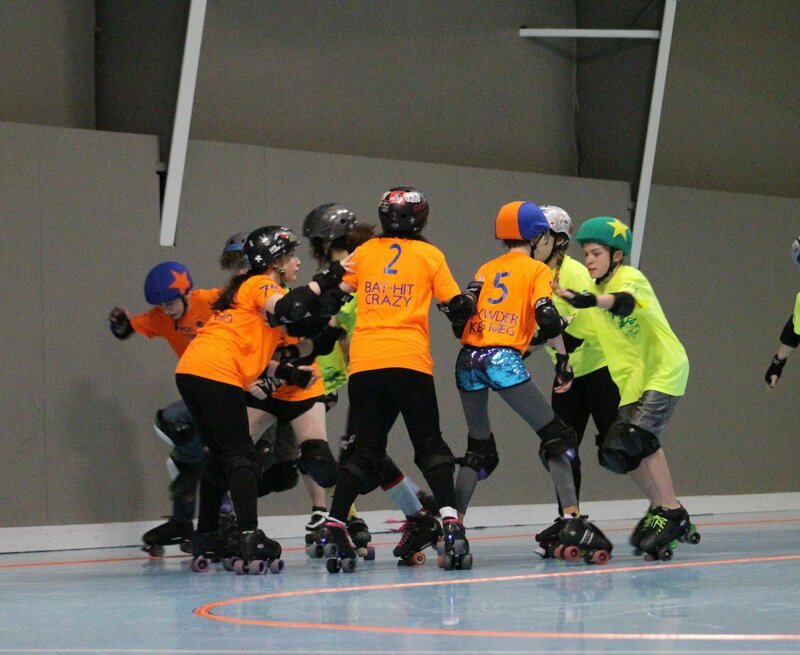 Minor Threat Junior Roller Derby (MTJRD) is based on a set of ideals that focus on teamwork, responsibility, respect for each other, and determination. 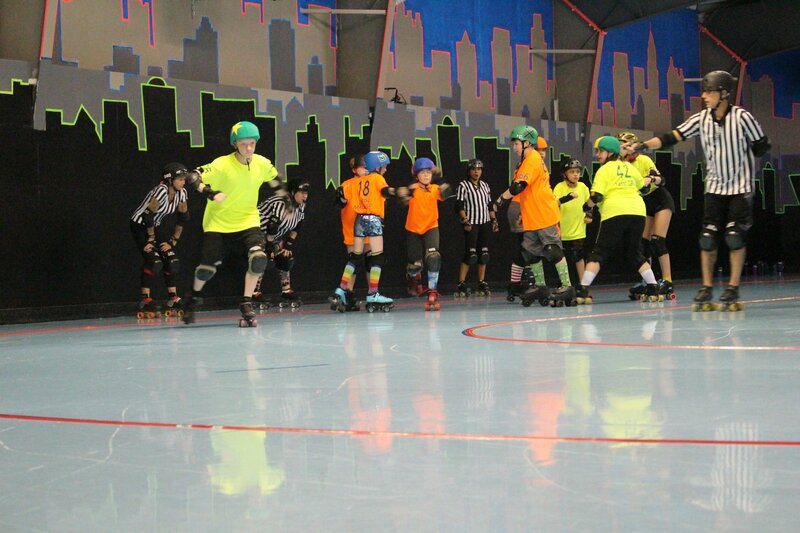 We are a support system that fosters first hand knowledge from the experience of roller derby athletes, referees and non-skating officials. 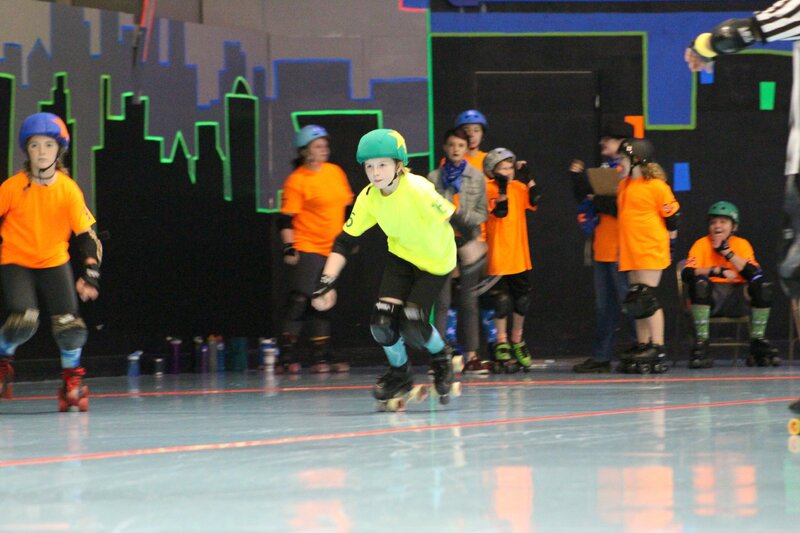 Through a series of level appropriate skill assessments, each skater moves up through the system safely and with confidence in their ability; Practice time is fun, yet challenging. 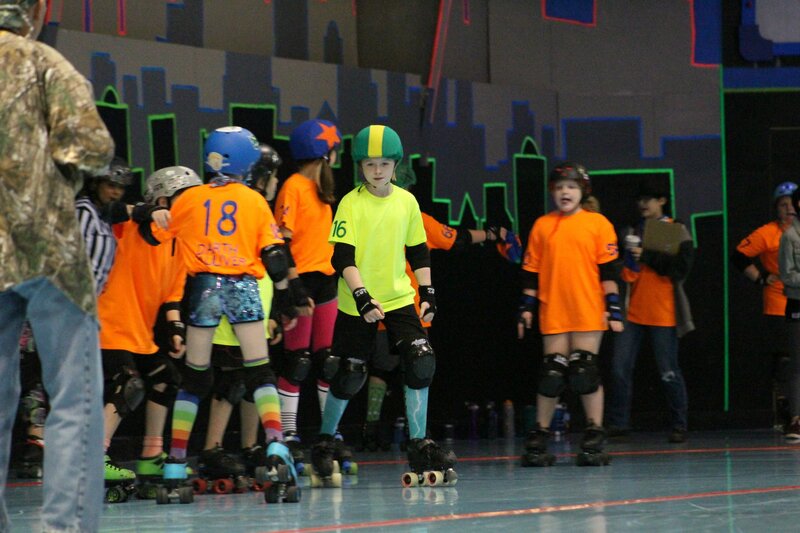 Minor Threat Junior Roller Derby is very much a family. 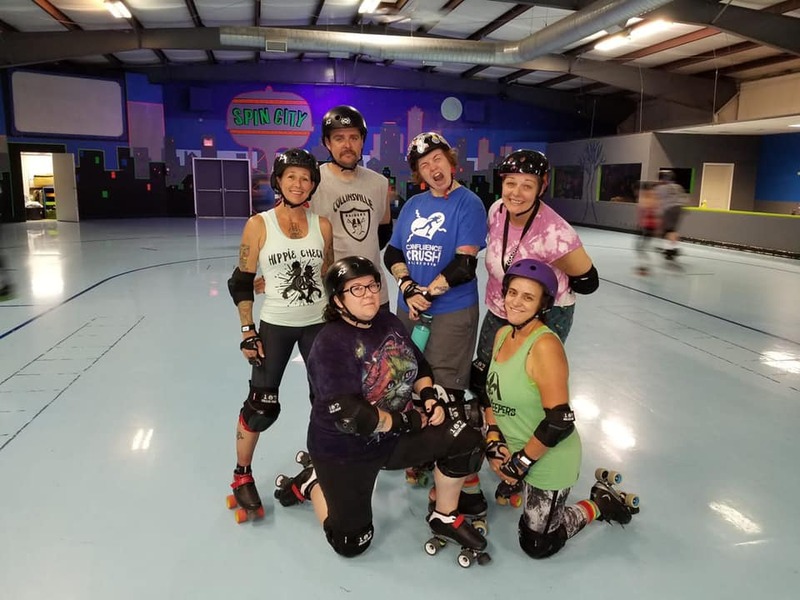 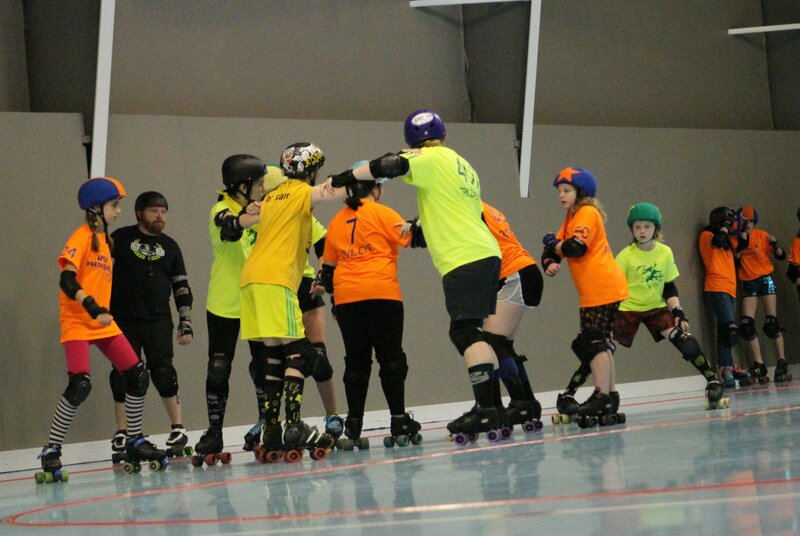 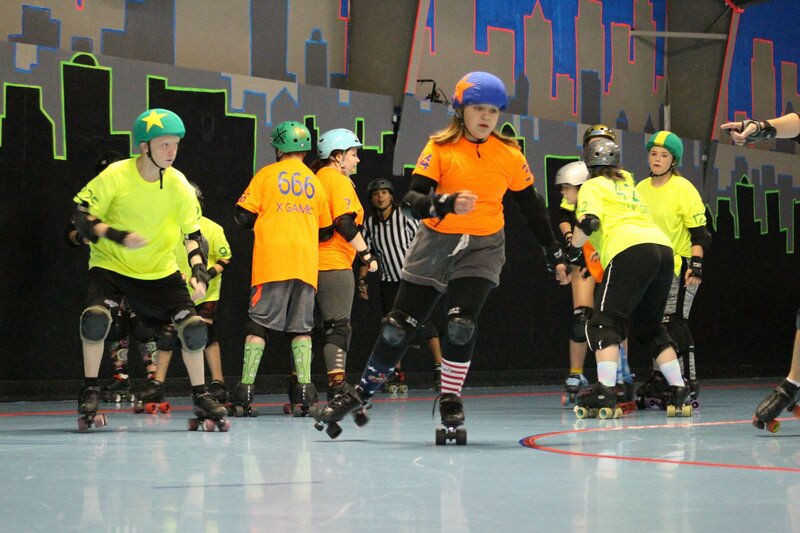 We enjoy getting together for social parties, ramp riding, fundraisers, and traveling to bouts together. 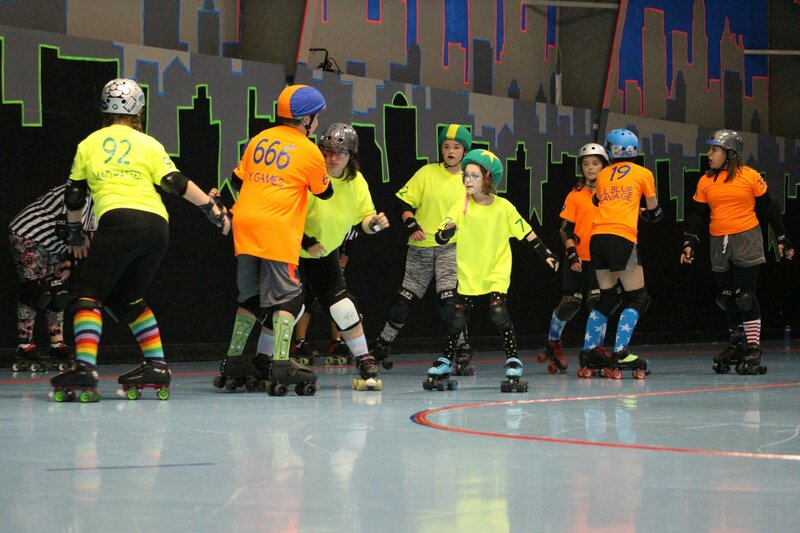 We are a diverse group from all over the St. Louis, MO and Metro East, IL area. 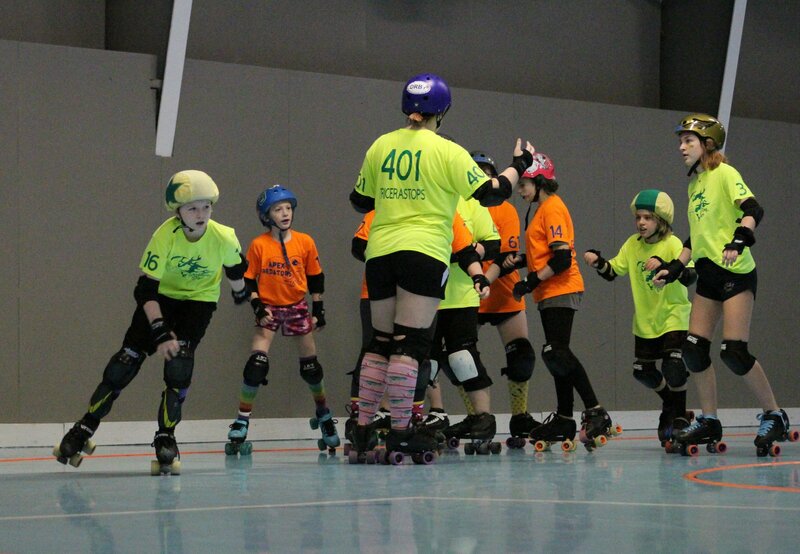 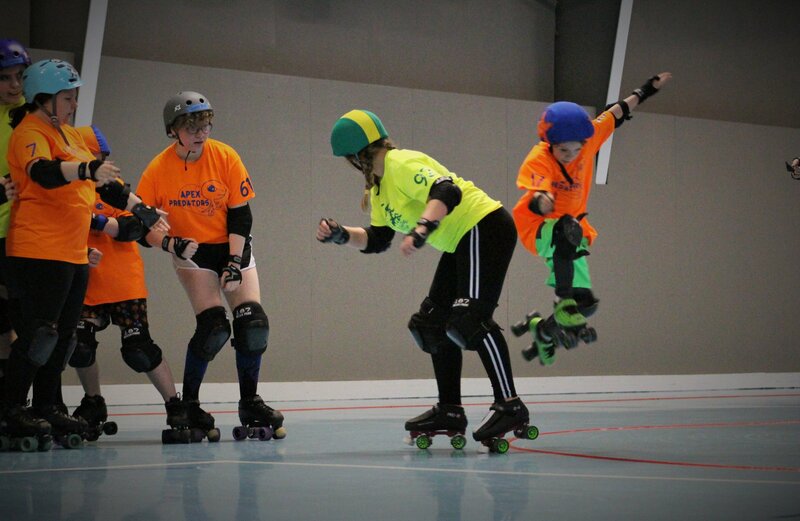 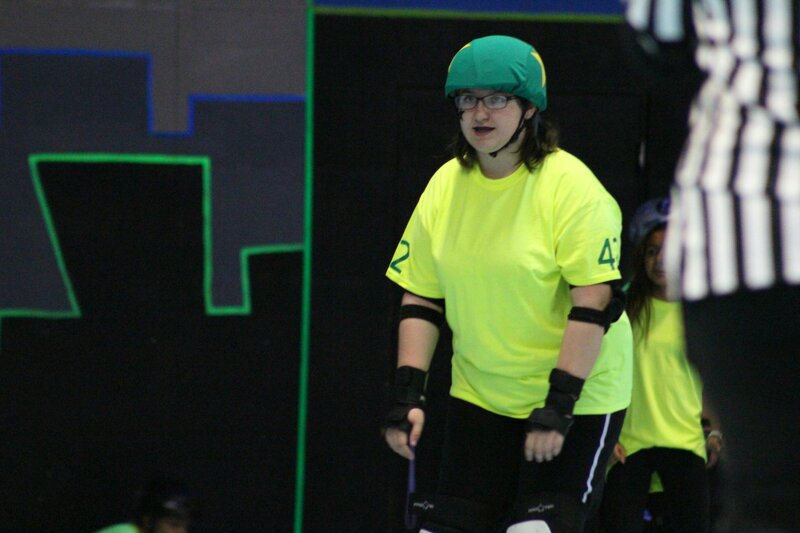 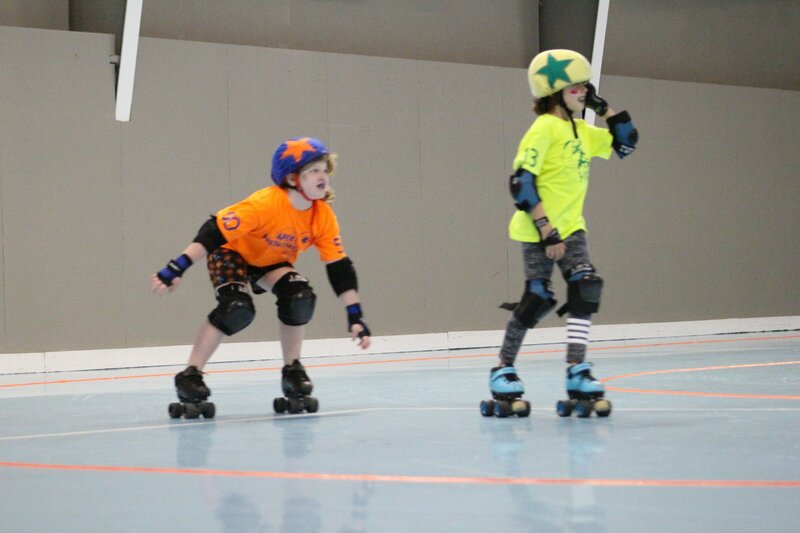 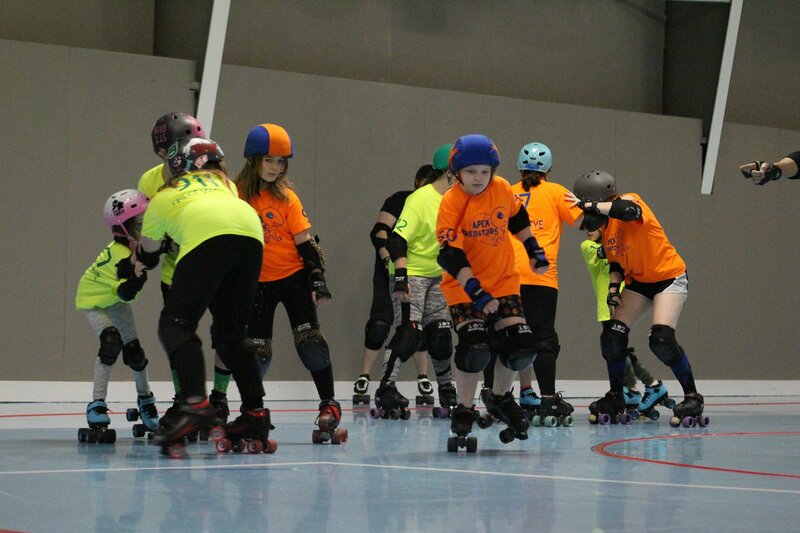 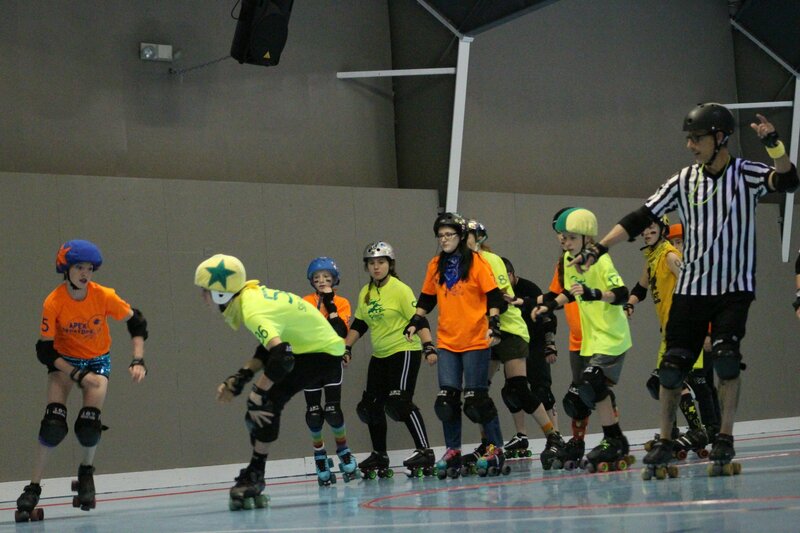 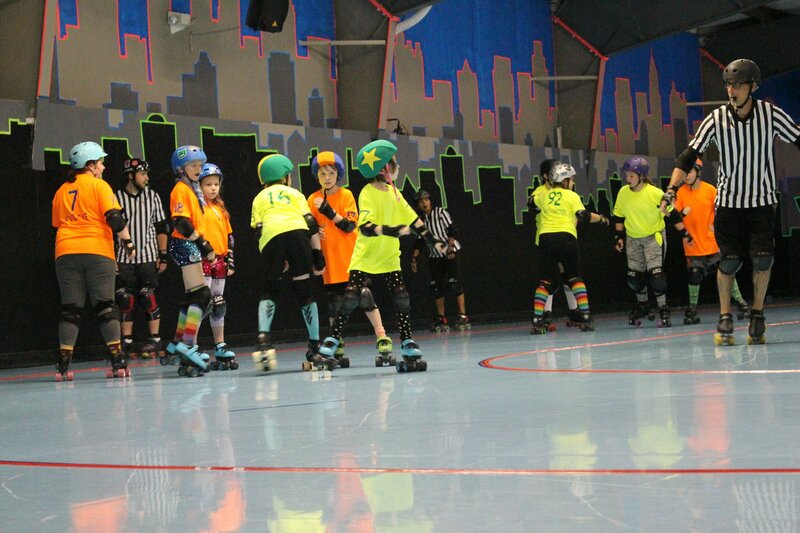 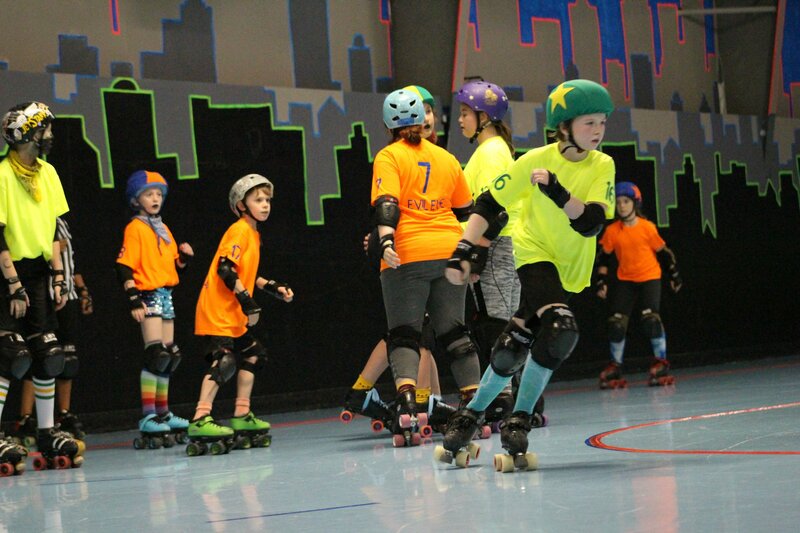 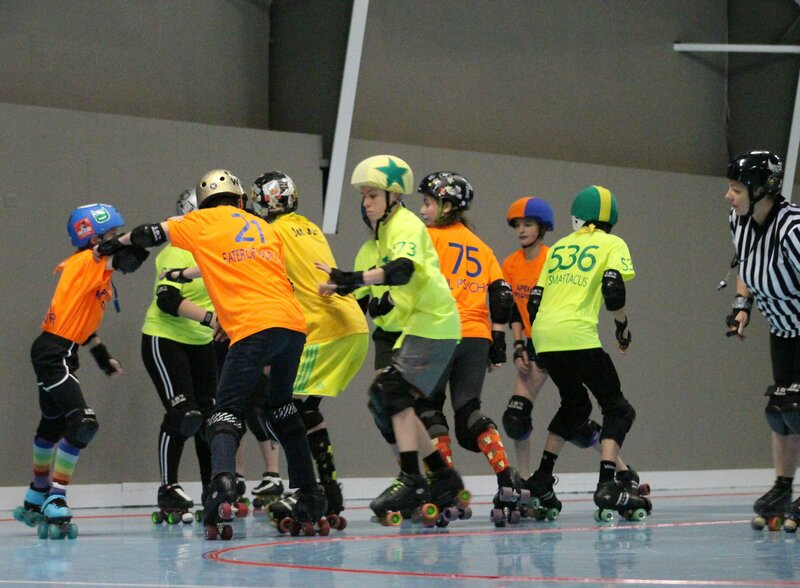 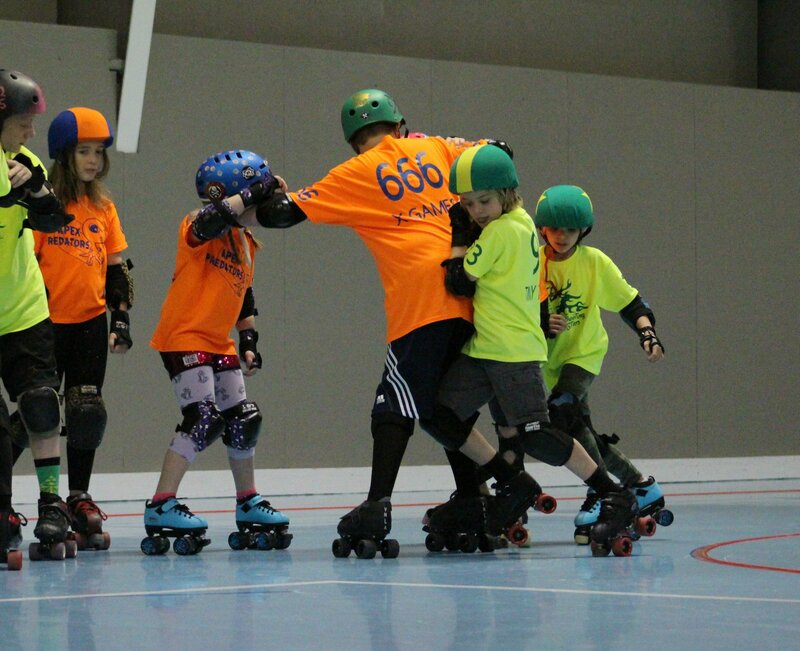 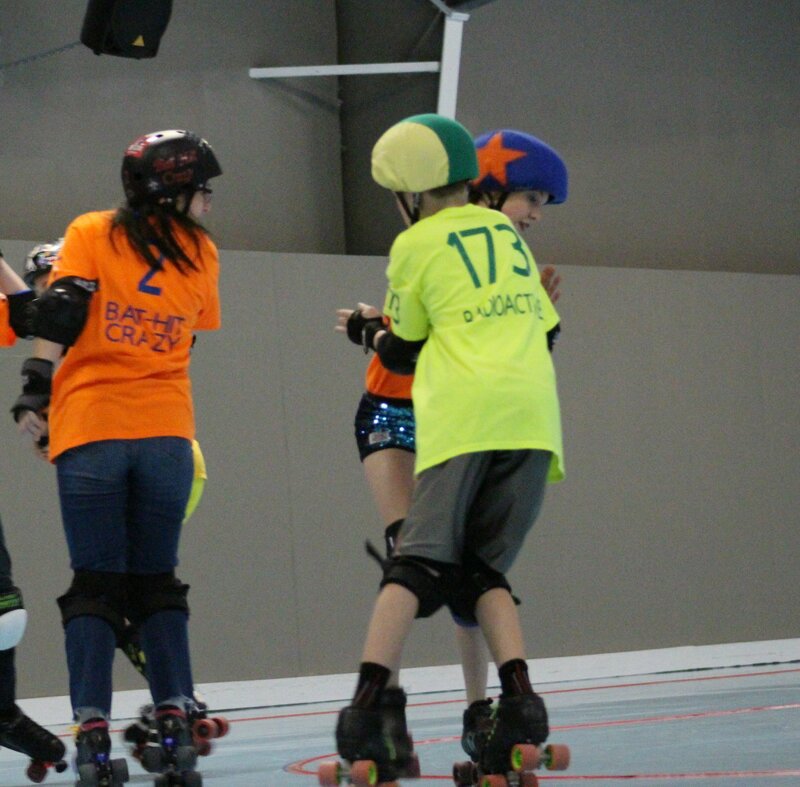 Each junior derby athlete, as well as their family, will feel a definite sense of being welcomed. 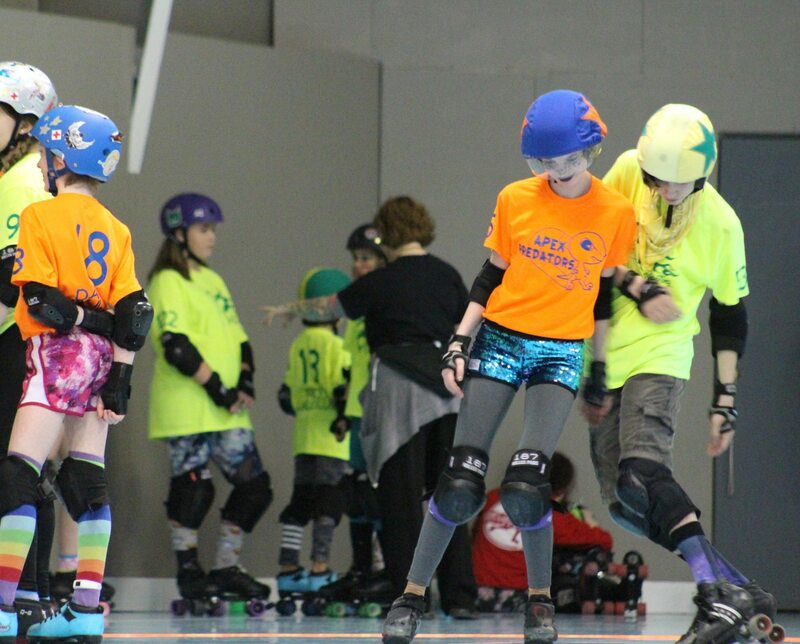 Roller derby elicits an empowered sense of personal pride that grows with each step you take outside of your comfort zone.